Fall arrives and I go from all Summer wanting to eat everything, in it’s purest form, right from the garden, to putting all in the oven, slow-cooker, or in a big ole pot on top of the stove to simmer away for hours. Since the weather had been unseasonably warmer of late,I have not jumped head first into non-stop soup making, but I have wanted to preserve as much of the season to get us thru the slow slog of winter. 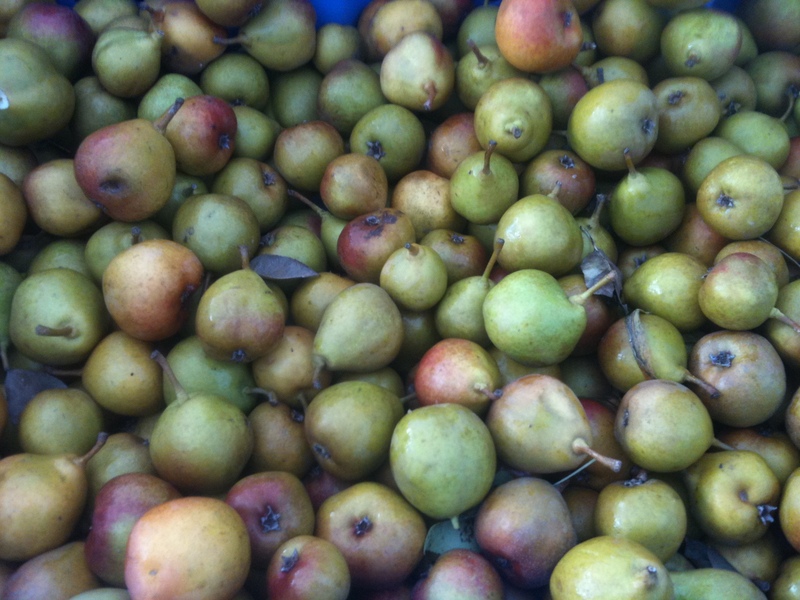 The multi-taker that I am thought, great, I can get a big batch of pears (from the neighbors tree, yay) prepped and into a pot to cook down into pear butter to put up, all while I am working (yes, an advantage of working from home). All great in theory until the distraction of back-to-back-to-back conference calls set in and then…hum, what is that smell? Minnesota forest fire smoke again? The ban on burning leaves in the city lifted? Oh no, that would be the, or what should have been, the pear butter. So much for multi-tasking. 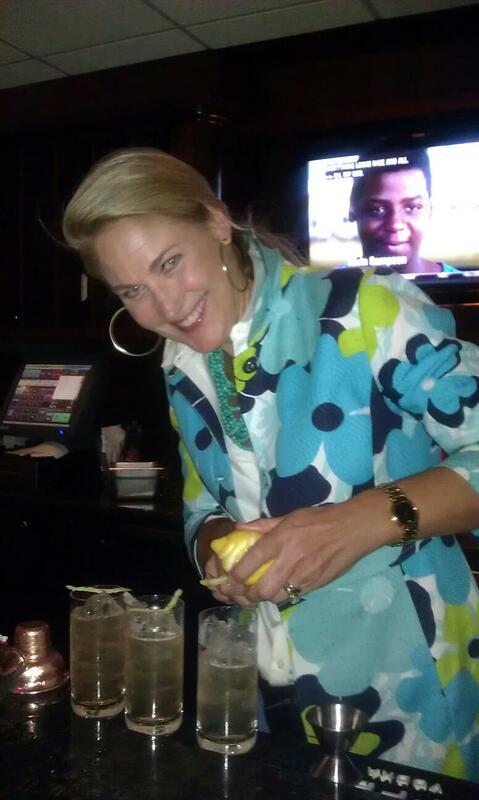 Guess I need something to do with the pears that does not require a pot over a flame that needs to be watched…and a couple of weeks I got my answer…Becoming a ‘guest bartender’ for an evening (yeah, I can wear alot of hats) for charity, we concocted a drink around fresh pear infused vodka! Not a faux pear-tasting, commercially made vodka, but a high quality vodka allowed to soak up all the sweet wonderful nectar from real pears, and very locally-grown I might add. Wow, by itself it was incredible. Yep. So need to do this at home. Again. Choose the wide mouth (and closeable, is that a word?) jar you want to make your infusion in. Slice your pears, no need to peel, and pack them into the jar, to the top. Then top off with vodka. Close the jar and let is sit for at least 3-5 days. 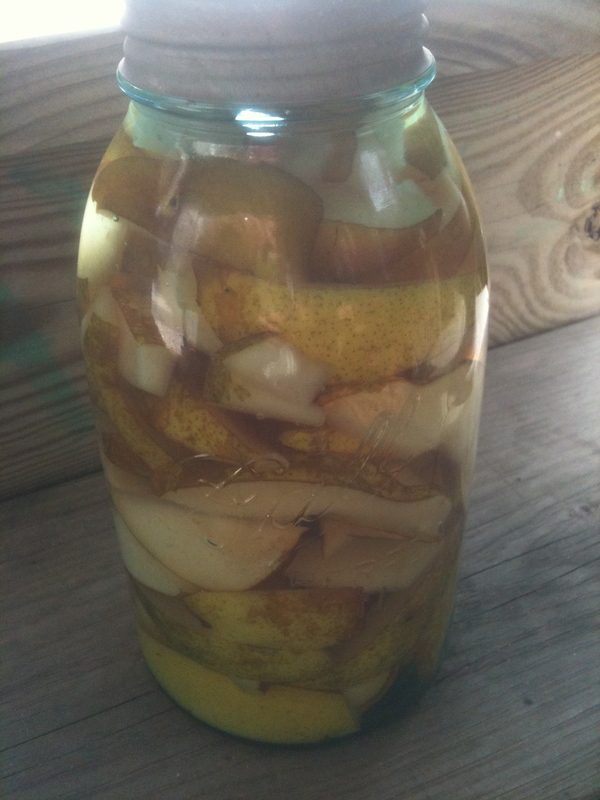 I used an old canning jar that holds just under two liquid quarts, which ended up holding approx 5 large sliced pears and just about a 750ml bottle of vodka. Now, don’t cheap out on your vodka, cuz the best pears in the world will not make it taste better. Pour all into a shaker filled with ice. shake well and pour (ice included) into a rocks glass. Garnish with a twist of lemon. Pour all into a shaker filled with ice. Shake well. Strain into a martini glass. Garnish with a sprig of rosemary. *to make simple syrup put equal parts water and sugar in a pot over a medium low flame. add a healthy sprig (or two) of fresh rosemary and a sliced pear. Simmer for about 10 minutes. 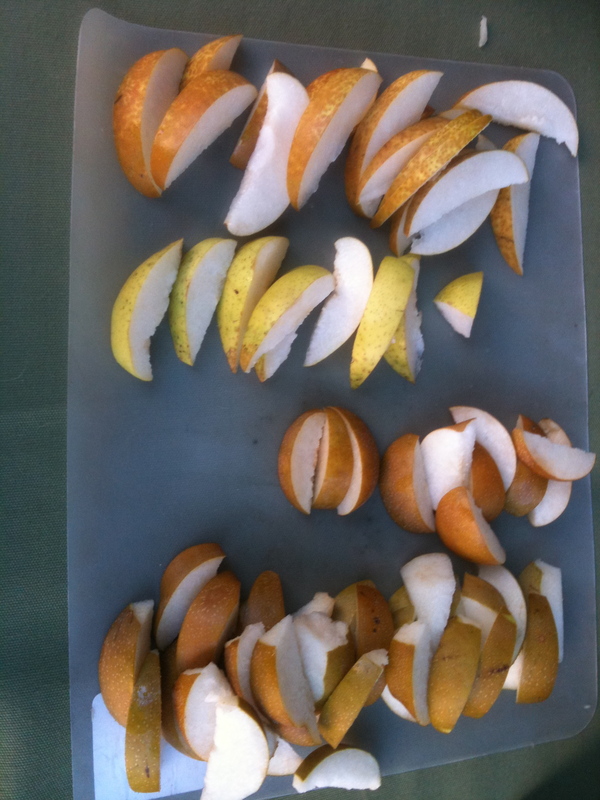 This entry was posted in To Market with Mo, Uncategorized and tagged Asian Pear, Chicago Area farmers marekts, Chicago Farmer's Markets, cocktails, Evanston Farmer's Market, food artisans, fresh seasonal organic produce, ginger, infused vodka, moira's blog, Oriana's Oriental Orchard, pear, Prairie Fire, rosemary, Sarah Stegner, seedling farm, vodka. Bookmark the permalink. 4 Responses to A watched pot…. Michigan pears, yes. Fresh rosemary, yes. Good vodka, always have that. Thanks for the great recipes! The Sweet Miss G was SO good! Just what you need to warm up on a chilly, rainy night. What time are you serving? I’ll bring some mussels. mussels as well? now you are talking! Oh Lord what have you gone and done to another tall blonde in Helsinki!